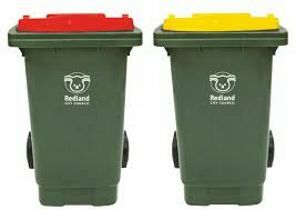 Redland City Council will write to the State Government with detailed feedback on its Draft Waste Management and Resource Recovery Strategy, before public consultation closes on 5 April. Mayor Karen Williams said it was important to express Council’s concerns about the State’s draft strategy, which was likely to incur significant costs and have implications for Council’s own waste management operations. “We will ask the State Government to prioritise the provision of a detailed action plan – with agreed timeframes and well defined roles and responsibilities – as well as a long term, state-wide communications and behaviour change campaign to support their strategy,” Cr Williams said. Issued for public consultation on 14 February 2019, the State’s draft strategy proposes a new long-term direction for waste management, with a view to Queensland becoming a zero-waste society. Cr Williams said that while Council applauded the intent – which aligned with our own search for more innovative waste management solutions in collaboration with our neighbours and industry – we needed to ensure the interests of Redlands Coast were represented. “Although the intent of the draft strategy is quite broad, once it is finalised Council will need to conduct a statutory review of our own Waste Reduction and Recycling Plan 2015-2020 so it aligns with the State,” she said. “And while Council undertakes continuing community education on waste recovery and recycling, the much more ambitious targets proposed by the State Government require proportionately greater resource allocation to support behavioural change. “Council also believes the State Government should cover the cost of any state-wide communication and behavioural change process, given it has flowed from their Draft Waste Management Strategy. “I thank Redlands Coast residents for the commitment they have already shown in waste reduction, diversion and recycling. “Residents continue to upgrade to larger household recycling bins and request optional green waste bins. “All the materials disposed of in this way are diverted from landfill.